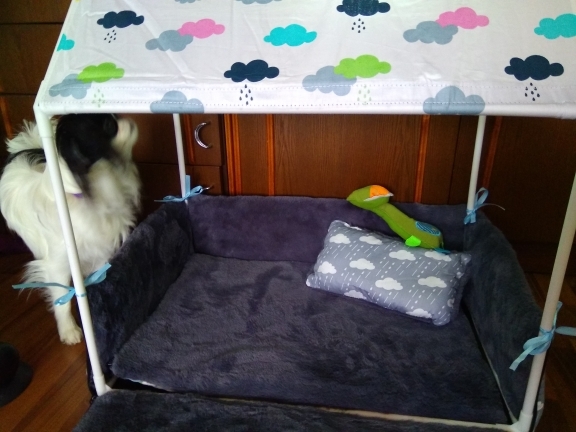 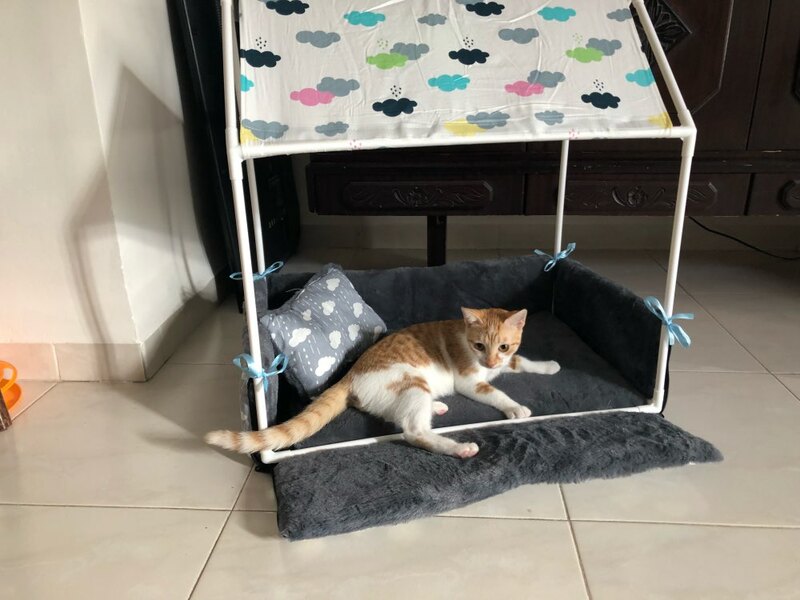 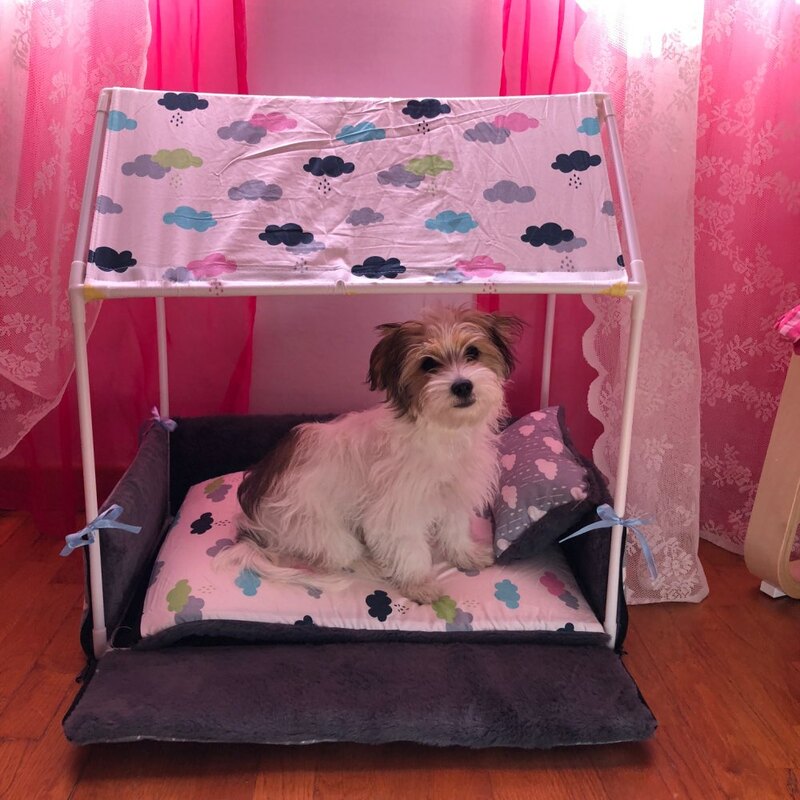 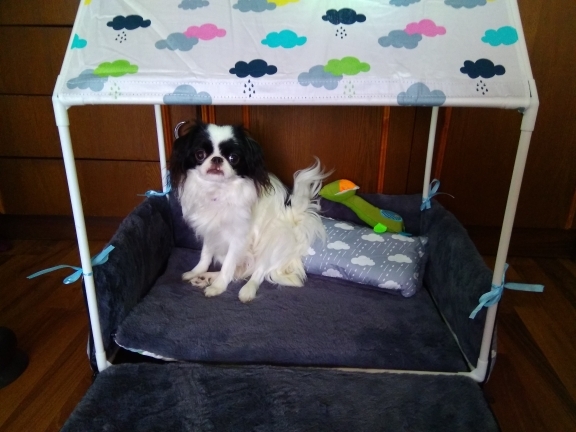 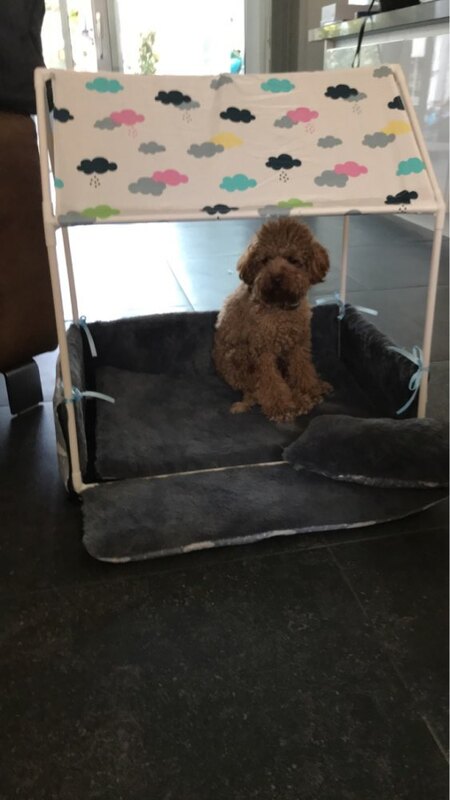 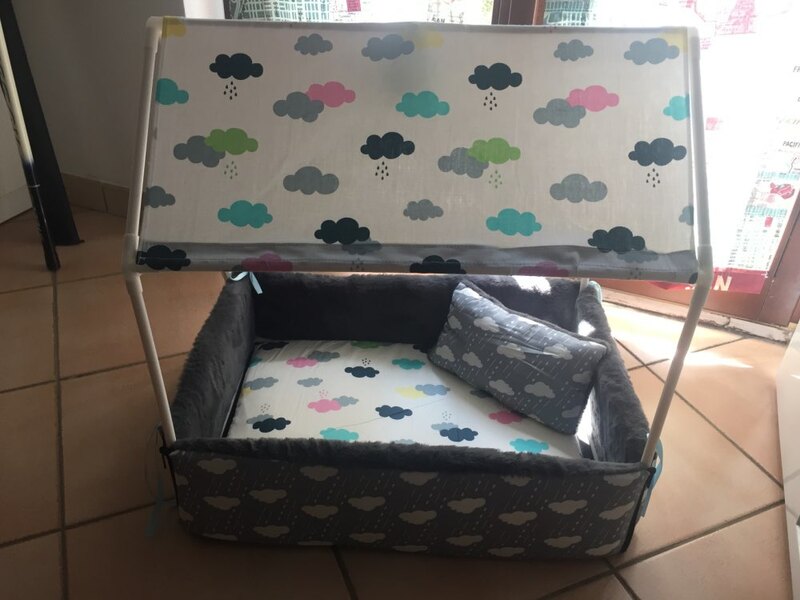 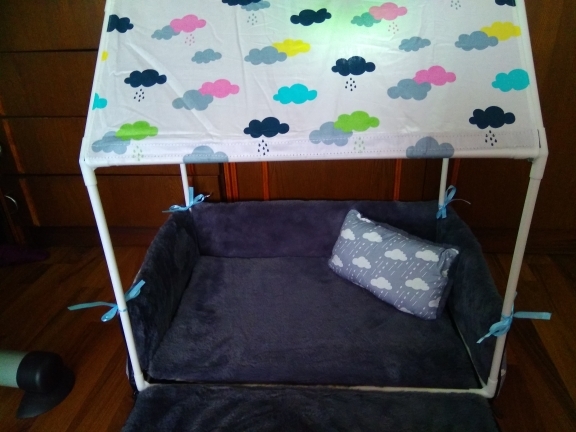 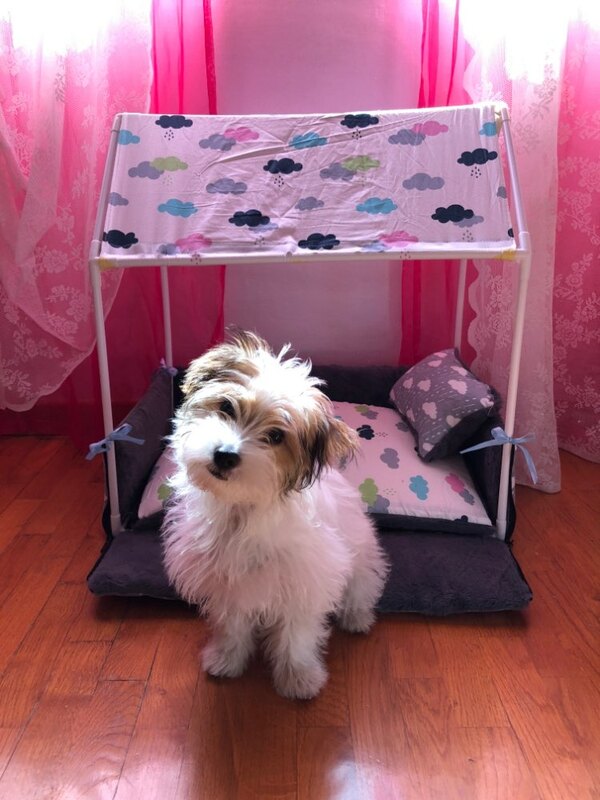 This sturdy tent can be a safe and comfortable place for your small dog or cat. 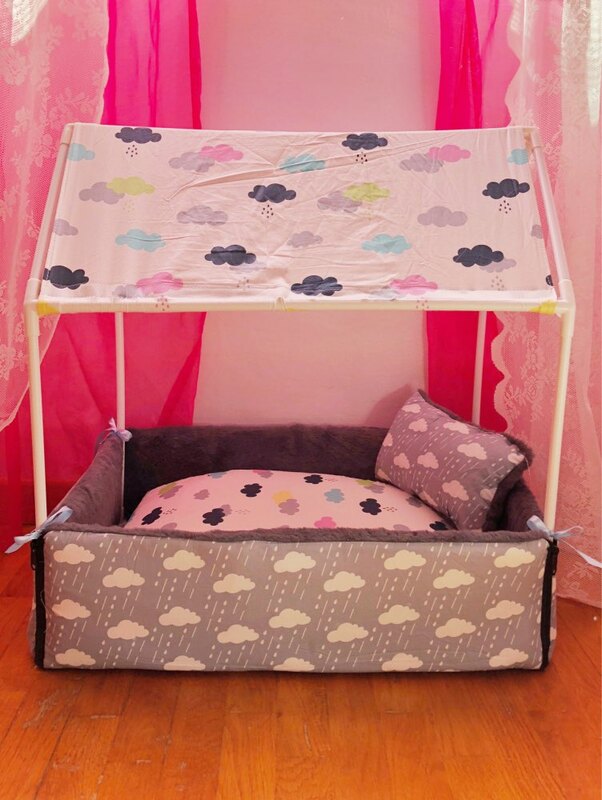 Completed with soft bedding, a pillow and a night light that hangs from the tent. 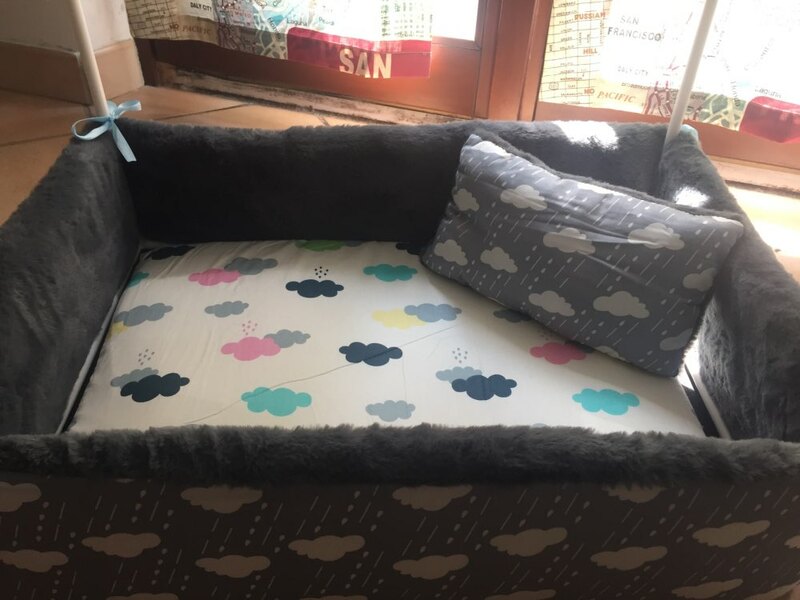 Bottom cushion cover can be removed and is machine washable.